Turn on classic rock radio anywhere in the world and it is only a matter of time until you hear one of Led Zeppelin’s countless classics. But even with Zep not having mounted a tour since 1980 (after the tragic death of drummer John Bonham), concert demand for the group remains high. And that is where Bonham’s son, Jason, comes into the equation. 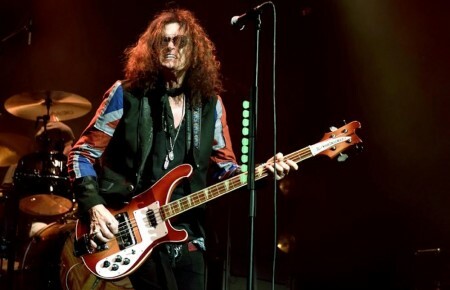 An extremely talented drummer in his own right, Jason filled in for his father at several Zep one-off performances over the years, including a full headlining set at London’s O2 Arena in 2007. 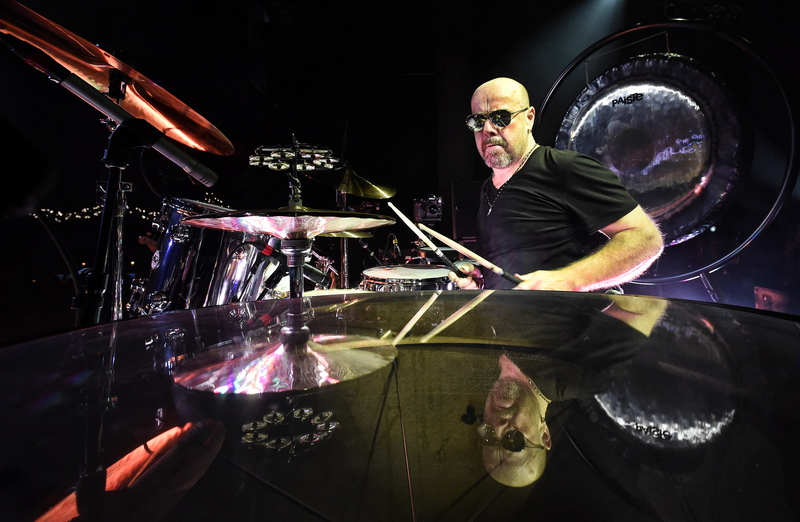 If anyone is entitled to keep the Led Zeppelin name alive outside of its surviving original members, it is Jason, who brings Jason Bonham’s Led Zeppelin Experience to the NYCB Theatre in Westbury on Tuesday, May 31. 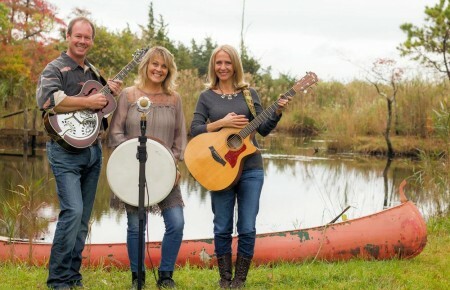 Long Island Pulse: What can fans expect at the upcoming Westbury show? Pulse: One tune I think people overlook is “Carouselambra,” which I’ve read Zeppelin were rehearsing for their planned 1980 US tour. Pulse: Which songs are your favorites to play? I’ve always loved played “Dazed and Confused,” just for all the different spaces you can do things. Things from Presence, dad was playing a different way back then. He started to do a double-cymbal hit at the end of fills, which he hadn’t done before. Anything off Physical Graffiti is going to be in the high part, because of the way the grooves…from one song, “In My Time of Dying,” to “Night Flight,” to “Down by the Seaside,” they’re all so different from each other, but yet, from the same album. Pulse: How would you describe your dad’s personality? Bonham: I was fourteen when he passed away. I knew him as a very shy guy. Very quiet. Didn’t really make much noise, yet, when the family was together and the drink was flowing, the alcohol would open him up a bit and it would make him a little bit more jolly and fun. But for the most part, dad was very calm and very quiet. Loved music. Loved to sit and listen to music at home. He was not the “Bonzo” [John Bonham’s nickname] that everyone remembers—this wild guy that would throw TV sets through windows and trash hotel rooms. I never saw that side. Pulse: Many point to your father as one of the greatest rock drummers ever. Bonham: I saw the recent Rolling Stone thing—he was voted the best drummer of all-time. That’s a big category to be in, with so many different styles and so many amazing drummers. I appreciate them voting for him. But without a doubt, every drummer I’ve ever met, dad is in their top three. And they don’t always say the same top three, but dad is always in there. Pulse: Why do you think Led Zeppelin’s music continues to resonate with subsequent generations? Bonham: As I’ve gotten older I could still put that music on and it still stands up to anything when you play it—sonically, sound-wise. There’s still nothing ever like it, the way it was written. It was written outside the box. I know it was different times then. But the way they were individually as players, how good they were individually and collectively as a band, it was even better. It’s funny—I was talking to Robert only an hour ago and we were going through some old fun stories. It was just nice to grow up as a part of this. Even though my father is not around, there is a certain calmness that I feel through the music and what people write to me and talk to me about, and the work that dad did for them. I’m very lucky that I get to go and play this great music and have fun with it. And play live—which is what I love, when young people and fans come out to see the show. So thank you, to everybody. Concert photo by Mike Corrado.